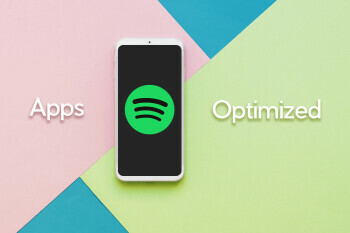 Hi everyone and welcome to part four of our Apps Optimized series. 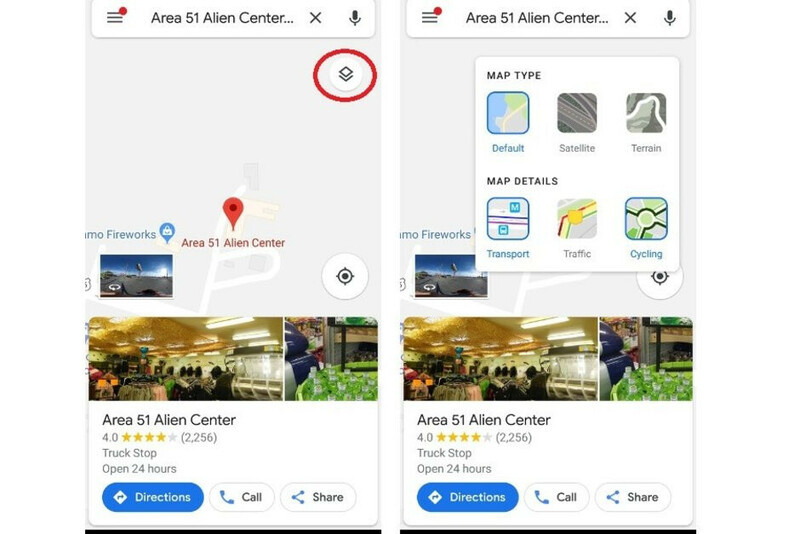 Last time, we shared with you our best tips & tricks for Facebook Messenger on iOS and Android, and today we're going to show you how to get the most out of another ubiquitous app - Google Maps. Google Maps has been around for a while - the mapping service initially launched in 2005, and life without it is hard to imagine. When was the last time you had to memorize a route or look at a physical road map? Exactly! Despite its popularity, a lot of people are unaware of the full extent of utilities and neat info that Google Maps can provide. 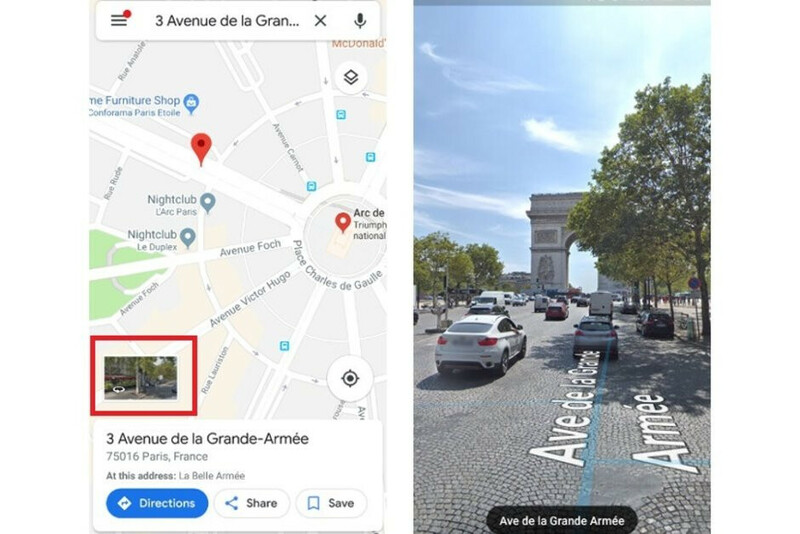 If you happen to be an Android or iOS user looking to enhance their experience with Google Maps, keep on reading! Below, you'll find a bunch of nifty tips & tricks that work like a charm on both platforms. Let's check them out! One of the most useful features of Google Maps is the circular button located at the top right of the screen, just below the search bar. When you click it, the app reveals all the different map types and additional details that can help you immensely while traveling. Aside from the all too familiar default type, you can also choose to view Google Maps through satellite images, and there's even a terrain mode that allows you to see the topography of a given area. You can then choose to further enhance your map with the transit, traffic, and bicycling modes that respectively provide details about public transportation, the flow of traffic, and bicycle paths. Sometimes traveling to a foreign country translates to you not having internet on your phone, which can be troublesome if you're on your own. 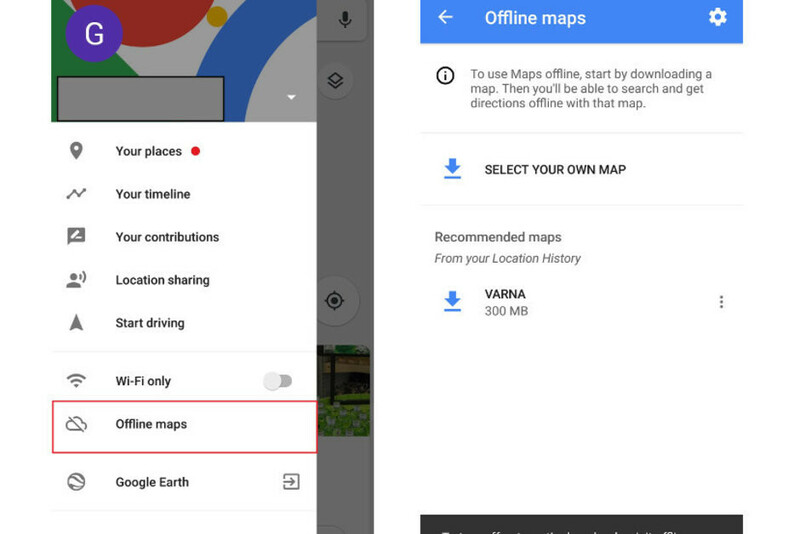 Luckily, Google Maps allows you to download and save a map of a given area for offline viewing. 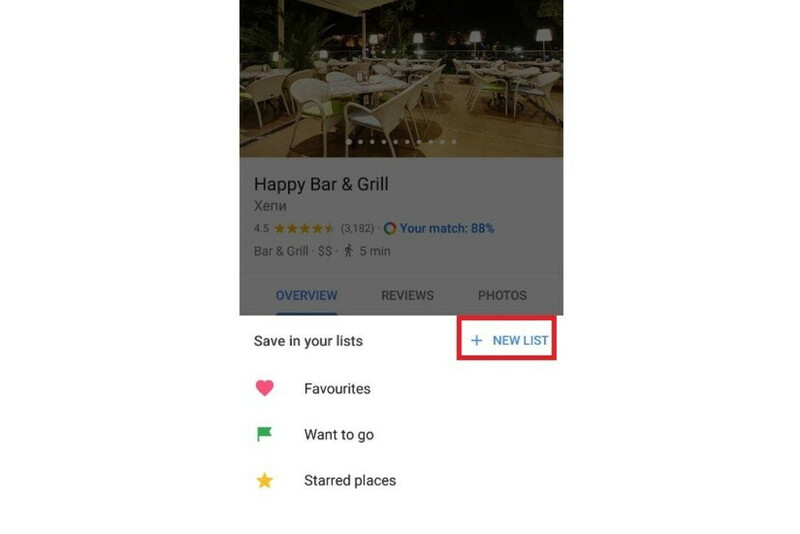 To do this, press the hamburger menu on the search bar or swipe right from the left edge of your display. Then, tap on "offline maps" and pick "select your own map". A rectangle should pop out, and you can scroll around and zoom in/out in order to select and save a map of a given area. The larger the map, the more size it will take up on your phone. The neat thing about this feature is that you’ll be able to view the map without any service and even track your location thanks to GPS. Ah, the beloved Street View. The mode allows you to explore landmarks, see natural wonders, and even take a walk inside museums, arenas, and so on. Accessing Street View on mobile is a bit different than the desktop experience. To do so, simply search for a given place or drop a pin inside Maps and then tap on a place marker. You can look around by dragging your finger on the screen or tapping the compass. To move around, swipe left or right. You can also swipe up or down on the blue line. For landscape mode, just turn your phone sideways. You can also zoom in and out with pinch gestures. If you're often feeling like Ashton Kutcher in the movie "Dude, Where's My Car?" after you finish shopping at a place with a huge parking lot or when you stop in an unknown city, Google Maps has you covered! Just remember to enter the app and click on the blue dot that shows your current location. 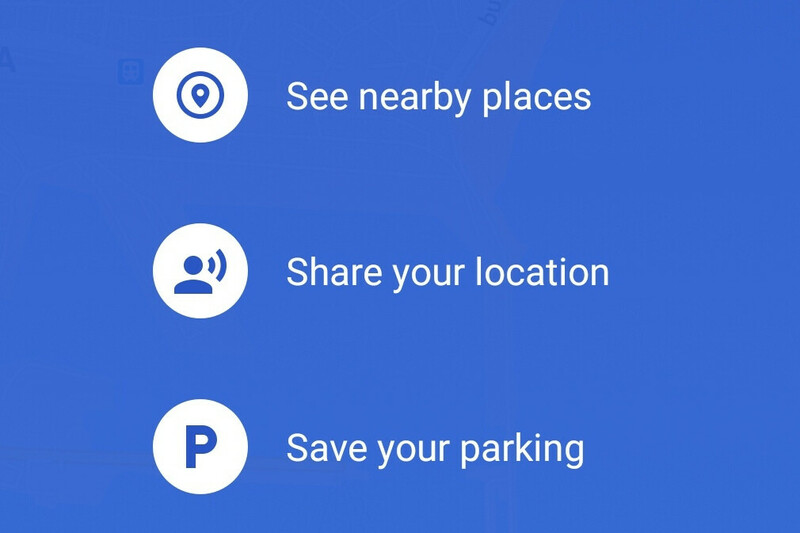 A menu with 3 options should pop up, the last of them being "Save your parking". After you save your spot, you can get directions to your ride from the app itself. The two additional options in the aforementioned menu allow you to share your current whereabouts with a friend and see nearby points of interest. Nifty! 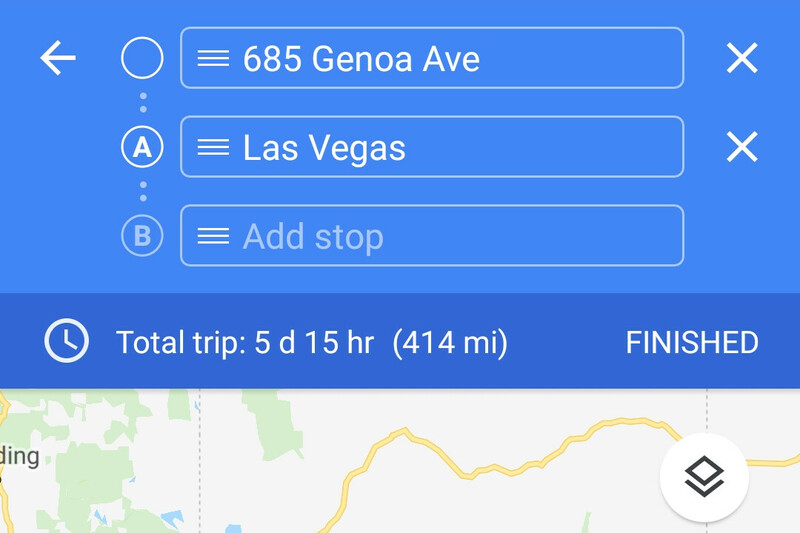 Google Maps is typically used for simple point-A to point-B tasks, but it’s easy to add an extra stop (or more) to your trip. Just search for a place you'd like to go to, then click on "Directions". After you start your journey, you can add additional stops by clicking on the three-dot menu that appears at the top right corner of the screen and pressing "add stop". The aforementioned menu can also help you with finding a parking spot, provide you with different route options, and so on. Waiting in line for a seat at your favorite restaurant can be a very annoying experience. 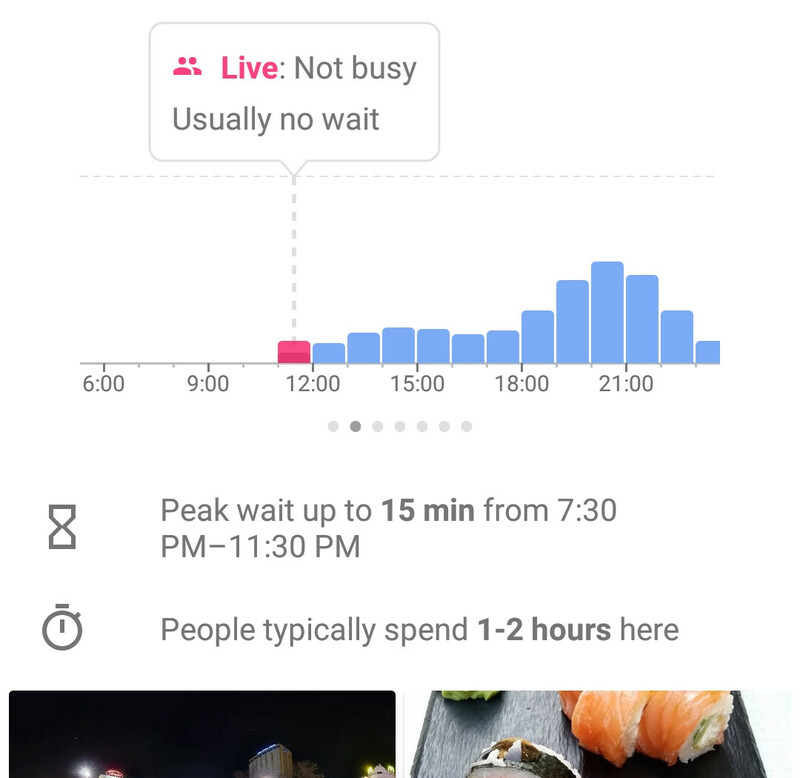 Fortunately, Google Maps can help you avoid the hassle by providing you with useful information about the average waiting times in a given day. Just look up the name of the restaurant inside the app, then scroll down to the "Popular Times" chart and select a specific time and day. There, you'll see how long is the average wait at that time and plan accordingly. Those of you who love to organize and categorize will dig the fact that Google Maps allows users to store all their favorite locations in one place. To do so, simply tap on a location and hit the "Save" button. From there, select "New list", name it, and add additional locations. The neat thing is that you can share your list with friends, and even access it while you're offline. Lastly, if you're well-traveled, you might want to see all the places you've visited over the last few years. Luckily (or not, depending on your privacy concerns), Google Maps tracks your location everywhere it can, and you can pull that info at any time. 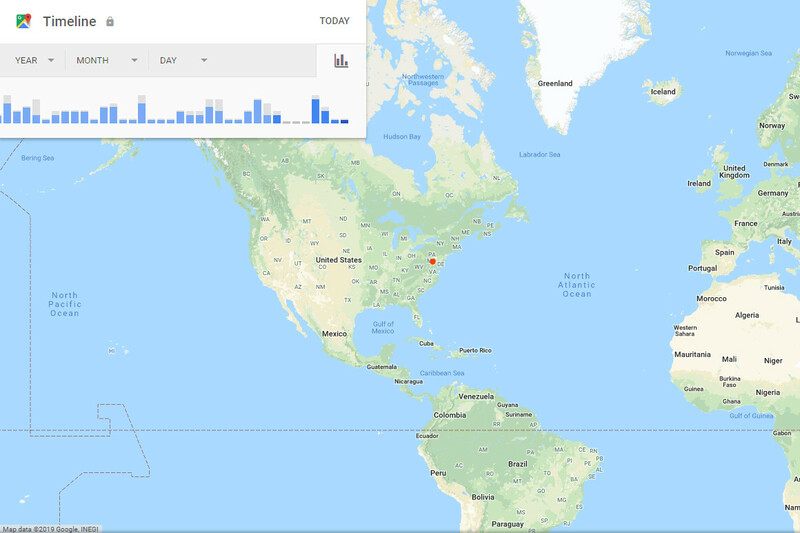 To see a map of all the places you've visited with Google Maps on your phone, head over to the Google Maps Timeline website. The red dots will show all the places you've checked out around the world. If you do not wish for Google to track your history, tap on "Manage location history" and turn it off. 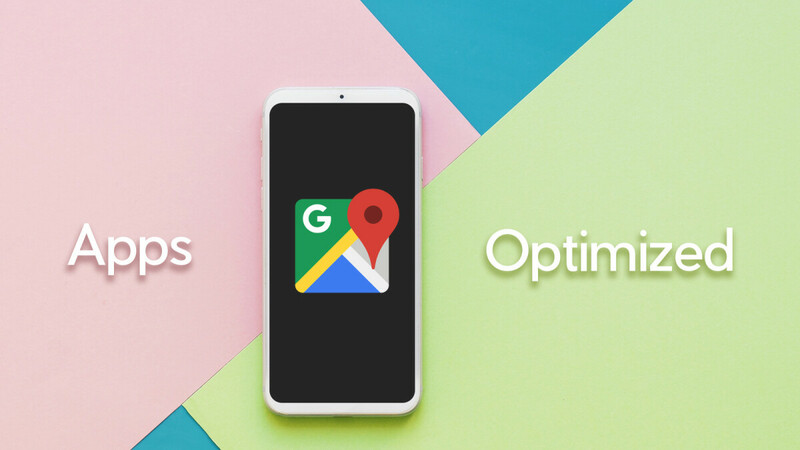 There you go, 8 great tips for maximizing your experience with Google Maps on Android and iOS! Did you find them useful? Do you have a super tip that we haven't mentioned? Let us know in the comments below!